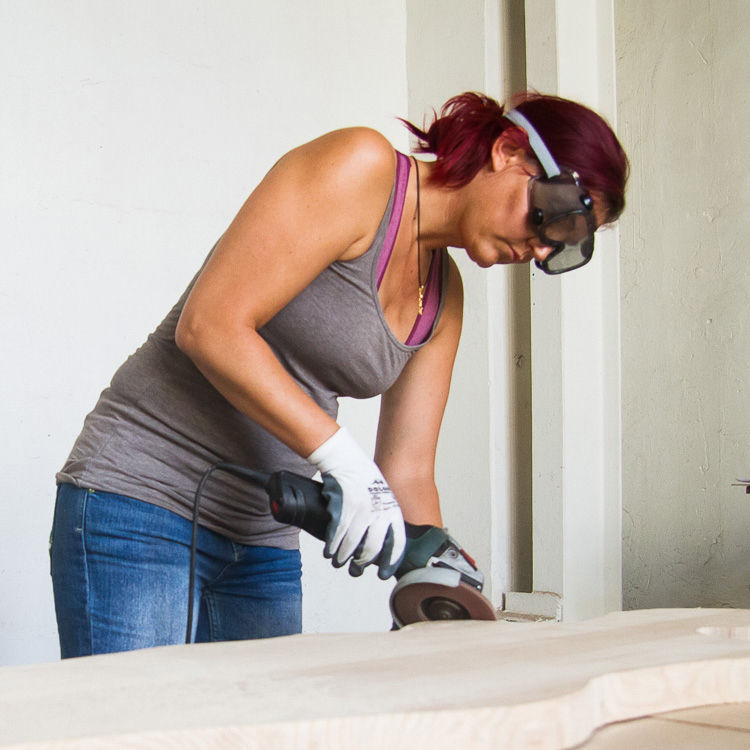 Do you understand German and would like to listen to an interview about my latest art exhibition? Then I invite you to please tune in to the NBC German Radio Station on Sunday, 13 January 13 at 18h00 (Namibian time).For those of you who are not living in Namibia, you can listen to the interview on NBC’s livestream via the internet @ http://96.31.83.87:8110/ . If you have missed that one or cannot make it, don’t worry, there will be a re-broadcast on THURSDAY at 22h00 (17 January). The program’s name is Kaleidoskop and it will feature a 30min interview with me, hosted by Annemarie Brell. The interview will give you an insight into my views on environmental art, we are talking about my works that have been exhibited recently in Swakopmund at my solo exhibition “…and I sensed an infinite scream passing through the Namib” and I share information how the works originated and what my intentions are. 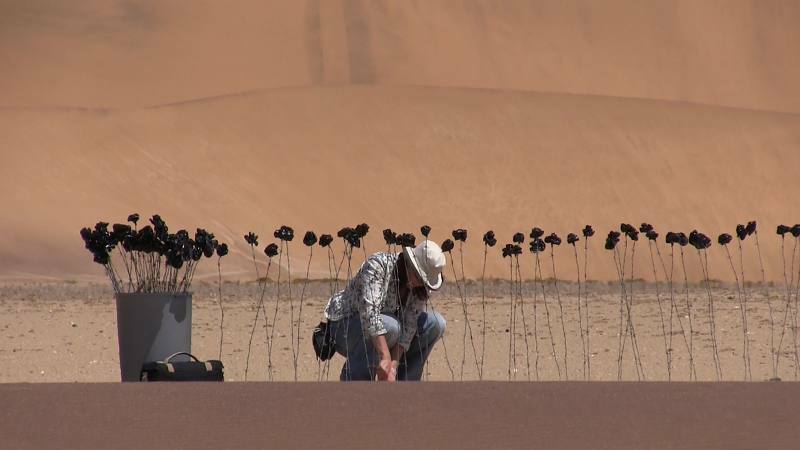 Me busy installing the 99 black roses (made out of barbed wire and rubbish bags) in the Namib desert for a temporary site-specific installation. This entry was posted in Inspiration, Installations, Land Art, Thoughts and tagged art, environmental art, imke rust, installation, interview, land art, Namib, NBC, radio, Scream, SubRosa, Swakopmund on January 10, 2013 by Imke Rust. Wie schön liebe Imke! Da freue ich mich drauf :-).